Adafruit’s Circuit Playground – A YouTube channel with videos about electronic concepts. Science Snacks: Electricity and Magnetism – The San Francisco Exploratorium offers a selection of short projects using free and easy to find materials on a variety of topics. Adafruit Electronics Coloring Book – A cute introduction to electronics. Chibitronics (Circuit Stickers) – Chibitronics offers beautiful kits and materials for making paper circuits. Circuit Stickers are easy to use for young circuit designers. The Chibi Chip adds microcontroller capability to paper circuits. littleBits – Electronic building blocks for children, color-coded by functionality, that snap together with rare earth magnets. 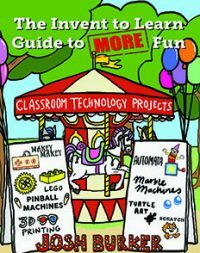 This eliminates the possibility for incorrect connections, short circuits, and syntax errors in order to facilitate electronic tinkering by learners of all ages. Snap Circuits – Explore electronic circuitry, with and without a computer, with snap together components to make working circuits and machines. Lectrify – Small circuit components work with paper, wearables, and any arts and crafts project. The pieces are designed to reflect real electronic components, providing but not forcing a pathway to understanding electronic design. Circuit Arcade – Instructions to make your own DIY cardboard circuit components. SAM Labs – Programmable electronic construction kit. MakeBlock Neuron – Programmable electronic construction kit. Bare (conductive) Paint – Paint pens and interactive card kits. This is a UK-based company; some of their materials are available at ThinkGeek and Amazon. Circuit Scribe – Conductive paint pens and electronics kits. CircuitWriter Precision Pen – Draw electrical “wires” to create circuits on paper. Make: Electronics: Learning Through Discovery – Charles Platt’s thorough text explaining the world of electronics – a great resource for your library. A Beginner’s Guide to Circuits – A concise book offers nine simple projects that introduce electronic concepts. Electronics for Kids: Play with Simple Circuits and Experiment with Electricity! – A comprehensive beginning electronics guide. Causal Patterns in Simple Circuits: Lessons to Infuse into Electricity Units to Enable Deeper Understanding – A terrific resource for educators to understand how to help students move from simple models to more correct models of electricity and circuits. The lessons also emphasize a classroom culture that encourages exploration, with an emphasis on how to deal directly with student misconceptions by asking them to observe deeply and construct their own understandings. Designed for middle school, the ideas could be adapted for younger or older students. EasyEDA – Online circuit design tool. CircuitLab – Online circuit design tool. Instructables How to Solder – A comprehensive guide to soldering, safety, and using the right tools. Sylvia’s Maker Show How To Solder Flyer – Fun handout on how to solder with great tips and safety instructions.